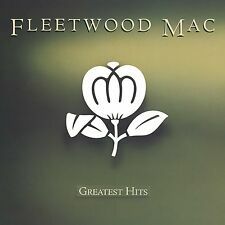 FLEETWOOD MAC. GREATEST HITS. Go Your Own Way. Seven Wonders. Little Lies. HUGE SALE! *SAME DAY DISPATCH! * FAST & FREE SHIPPING! 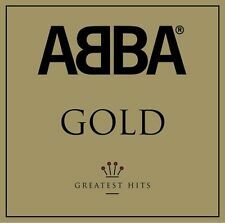 GOLD - THE GREATEST HITS. The Winner Takes It All. Super Trouper. Does Your Mother Know. (A Man After Midnight). From Now On - Hugh Jackman and The Greatest Showman Ensemble. The Other Side - Hugh Jackman and Zac Efron. Disc 1 1 Frozen Heart. Disc 1 32 Epilogue. Disc 1 31 The Great Thaw (Vuelie Reprise). Disc 1 30 Whiteout. Disc 1 28 Treason. Disc 1 26 Summit Siege. Disc 1 24 Conceal, Don't Feel. Disc 1 23 Marshmallow Attack! The Greatest Showman CD. From Now On - Hugh Jackman and The Greatest Showman Ensemble. The Other Side - Hugh Jackman and Zac Efron. THE TRAVELING WILBURYS. Heading For The Light. Tweeter And The Monkey Man. End Of The Line. Dirty World. Handle With Care. ROY ORBISON. THE REAL.ULTIMATE COLLECTION. Working For The Man. 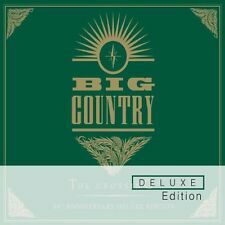 3-CD ALBUM SET. Only The Lonely (Know the Way I Feel). Pretty One. With The Bug. The Actress. LOST ON YOU. Lost On You. Other People. Long Way To Go To Die. 100% ORIGINAL PRODUCT. You Want It All. Muddy Waters. September Morn. NEIL DIAMOND. Solitary Man. I'm A Believer. Red, Red Wine. Girl, You'll Be A Woman Soon. Kentucky Woman. THE CARPENTERS. GOLD: GREATEST HITS. Top Of The World. Jambalaya (On The Bayou). Ticket To Ride. This Masquerade. (They Long To Be) Close To You. We've Only Just Begun. STEVIE NICKS. CRYSTAL VISIONS: THE VERY BEST OF. Planets Of The Universe. Stand Back. Stop Draggin' My Heart Around (with Tom Petty & The Heartbreakers). Rooms On Fire. Queen : Greatest Hits CD (1994)Title: Greatest Hits Artist: Queen Genre: Rock/Pop|Rock Duration: 58.10 mins Format: CD / Album Type: CD No. 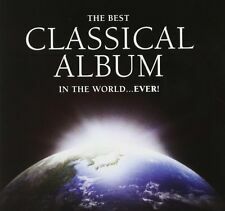 of Discs: 1 disc(s) Studio / Label: EMI Music UK UK Release Date: 06 Jun 1994. El Pussycat. BAD MANNERS. THE VERY BEST OF. The Undersea Adventures Of Ivor The Engine. Walking In The Sunshine. Falling Out Of Love. My Girl Lollipop. Got No Brains. THE SINGLES COLLECTION 2001-2011. Clint Eastwood (Ed Case & Sweetie Irie Re-fix). Feel Good Inc. Rock the House. Superfast Jellyfish. Kids With Guns. Wild Child. THE VERY BEST OF. Water Shows The Hidden Heart. Trains And Winter Rains. Cursum Perficio. Anywhere Is. Dolly Parton - 9 To 5 02. Lady Antebellum - Need You Now 04. Carrie Underwood - Before He Cheats 05. Glen Campbell - Rhinestone Cowboy 06. Kenny Rogers - The Gambler 07. Johnny Cash - Ring Of Fire 08. Nutbush City Limits - with Ike Turner. Typical Male. ALL THE BEST. Two People. When The Heartache Is Over. I Can't Stand The Rain. On Silent Wings. Complicated Disaster. DAVID BOWIE. All formats of DAVID BOWIE LEGACY feature a previously unreleased version of the classic 1971 single ‘Life On Mars?’. 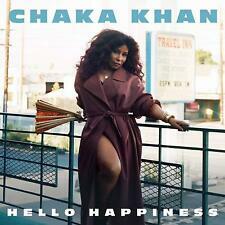 mixed by its original producer Ken Scott. In over fifty years from his very first recordings right through to his last album Blackstar, David Bowie was at the vanguard of contemporary culture as a musician, artist, icon and a constant influence on generations of writers, artists and designers. Adele : 21 CD (2011)Title: 21 Artist: Adele Genre: Blues|Soul-blues Duration: 48.03 mins Format: CD / Album Type: CD No. 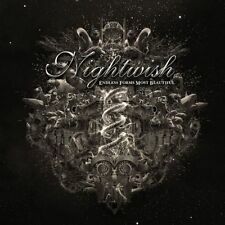 of Discs: 1 disc(s) Studio / Label: XL UK Release Date: 24 Jan 2011. Disc 1 10 Love Song 5.16 mins. Various Artists : Now That's What I Call Music! 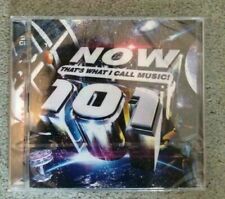 95 CD (2016)Title: Now That's What I Call Music! 95 Artist: Various Artists Genre: Rock/Pop|Compilation Format: CD / Album Type: CD No. of Discs: 2 disc(s) Studio / Label: NOW UK Release Date: 18 Nov 2016. CHRIS STAPLETON. 100% ORIGINAL PRODUCT. Outlaw State Of Mind. Might As Well Get Stoned. Daddy Doesn't Pray Anymore. Coward Of The County. The Gambler. KENNY ROGERS. You Decorated My Life. THE VERY BEST OF. Islands In The Stream - Duet With Dolly Parton. Madness are national treasures, with a huge following. The last Madness best-of, ‘Total Madness’, was released in 2012 and comprised 23 singles. Since then the band have released two more studio albums: ‘Oui Oui, Si Si, Ja Ja, Da Da’ and their current record, ‘Can’t Touch Us Now’, each spawning three or four singles. Peabo Bryson & Roberta Flack - Tonight, I Celebrate My Love. Genesis - That's All. Howard Jones - New Song. Culture Club - Victims. Rod Stewart - Baby Jane. Malcolm McLaren - Double Dutch. New Edition - Candy Girl. The Greatest Show. A Million Dreams. A Million Dreams (Reprise). 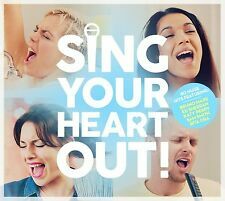 2-CD ALBUM SING-A-LONG EDITION. 100% ORIGINAL PRODUCT. EVA CASSIDY. THE BEST OF. Wade In The Water. Fields Of Gold. Over The Rainbow. Anniversary Song. People Get Ready. You Take My Breath Away. DON WILLIAMS. You're My Best Friend. That's The Thing About Love. THE VERY BEST OF. 100% ORIGINAL PRODUCT. Shelter Of Your Eyes. If Hollywood Don't Need You. 'Till The River All Runs Dry. Zoom > The Greatest Hits - Luther Vandross (Album) [CD]. 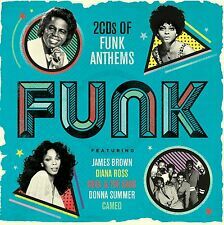 Greatest hits compilation by the late soul singer Luther Vandross. Never Too Much - Luther Vandross. Always and Forever - Luther Vandross. Dance With My Father - Luther Vandross. TWENTY ONE PILOTS. 100% ORIGINAL PRODUCT. Guns For Hands. Fake You Out. The Run And Go. Various Artists : Clubland, Vol. Artist Various Artists Title Clubland Vol. 2 Release Date 2002-11-11 Label: EMI Records Number of Discs 2. 1 12 Forever - Trinity X. 2 20 Ketchup Song Asereje - Las Ketchup. NOW Thats What I Call Music! 102 (CD) NOW 102 - Various Artists. Zoom > NOW Thats What I Call Music! Product Now That's What I Call Music! 102 - Various Artists (Now 102) [CD]. The legendary compilation is back and kicking off 2019 with NOW 102. Zoom > Wanted On Voyage - George Ezra (Album) [CD]. Budapest - George Ezra (3.2). Cassy O' - George Ezra (3.04). Barcelona - George Ezra (3.08). Listen to the Man - George Ezra (3.03). Leaving It Up to You - George Ezra (3.36). PINK FLOYD. THE DARK SIDE OF THE MOON CD. On The Run. 2011 REMASTER. Breathe (In the Air). The Great Gig In The Sky. New and sealed genuine CD. Ace Of Spades. Iron Horse - Born To Lose. THE BEST OF. Bite The Bullet / The Chase Is Better That The Catch (Live). The Chase Is Better That The Catch. The One To Sing The Blues. Heart Of Stone. Eat The Rich. ‘No Tourists’, has been written, produced and mixed over the last year by Liam Howlett in his studio in London’s Kings Cross. Though this is – Liam notes – “very much a band album”. Expanding on the general shape of the project, Liam says: “this album is equally aggressive as the last records – but in a different way.". MOTORHEAD - THE BEST OF - 2 CDS - NEW!! 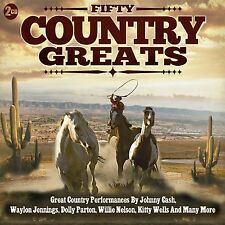 NOW 100 Various Artists CD. Free delivery. Despite the huge growth in digital music, there is still a solid demand for album music CDs. There's just something satisfying about having a physical copy of an album, complete with printed artwork, sleeve notes and lyrics, that a digital download simply cannot match. What's more, while it is easy to upload a music CD onto your phone or music player, it is far more difficult to recreate a CD album from a download. You'll find a massive choice of CD albums available on eBay, with everything from the very latest releases to the classics. There's every style from blues to bee-bop, country to classical, rock to rap, you're sure to sure to find your favourite music. 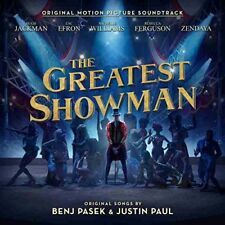 You'll also find the latest releases from The Greatest Showman or George Ezra, Kylie or The Killers. Or, look for your favourite albums from the 1990s, including Dr. Dre's The Chronic or R.E.M's Out of Time. Listen to the songs of your favourite flicks with a film soundtrack CD. 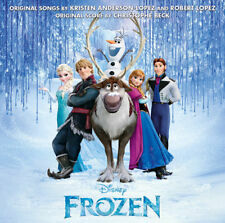 Choose from the ever-popular Frozen or Disney's Z-O-M-B-I-E-S soundtrack. Choose a brand new music CD and you are guaranteed a pristine, un-played disc without a scratch, and immaculate packaging and artwork. To save even more, look for used CD albums, which have been enjoyed before, but if treated properly, could still be as good as new. Perhaps the biggest advantage of buying CD albums is the sheer size of the store. With around two and a half million music albums listed on CD at any one time, you've got much more chance of coming across that rare, hard to find disc that completes your collection or even finding a release that you didn't know existed.